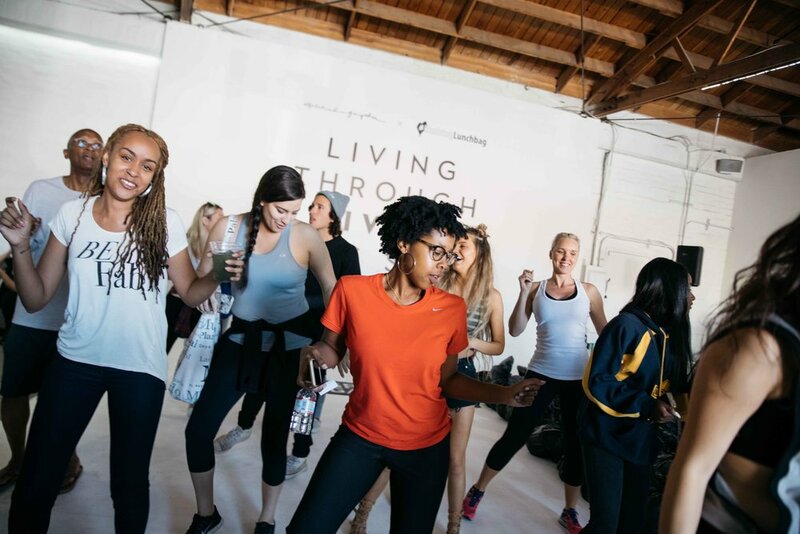 In honor of National Yoga and Hunger Action Month, Spiritual Gangster joined forces with HashtagLunchbag for a morning of assembling lunch bags and writing love notes to distribute to food insecure communities within the Los Angeles area. 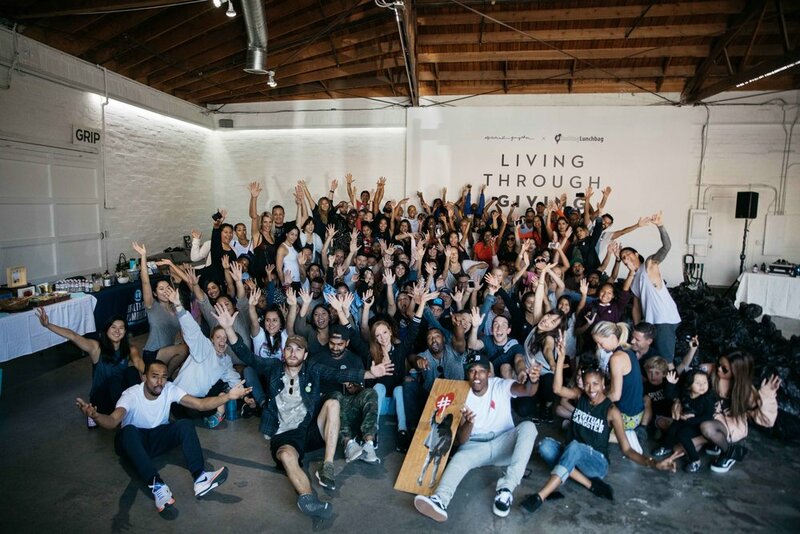 The day was kicked off with hip hop yoga led by Y7 Studios along with some post-yoga fuel offered by Kite Hill, Purely Elizabeth and Health-Ade Kombucha for hundreds of Spiritual Gangsters who came together to pack 1460 meals for those in need. Tell us more about #HashtagLunchbag, why did you decide to work with them? #HashtagLunchbag is a humanity service movement dedicated to empowering and inspiring humanity to reap the benefits of giving. They represent the opportunity for volunteers to create bagged lunches, complete with handwritten love messages, and use them as a vessel to Feed & Feel Love in their local communities. They utilize social media platforms to share the experience, while inspiring others to pay it forward and impact the world. We partnered with #HashtagLunchbag because we share an aligned mission to spread love and provide meals to those in need. Is the first time you've done this specific event? Yes, Spiritual Gangster’s purpose is to raise the vibration of the world and one of the ways in which we are committed to doing this is by providing meals to those in need. We’ve had a longstanding partnership with Feeding America and for every item we sell, we donate proceeds to provide a meal to a person in need. This September, we are grateful to reach our 10 million meal donation milestone. We will continue in our commitment and generate a movement grounded in gratitude, generosity and connectedness. Some highlights from the day? Experiencing the impact (1,460 meals) a small group of people can make when gathered with a focused mission to feed and feel love. Sign up for our newsletter to be the first to know about upcoming events and head to #Hashtaglunchbag’s site to join a local chapter.